The first siege of Lathom House took place in 1644 and is well recorded in history. James 7th Earl of Derby was elsewhere engaged on the business of the King, leaving the Countess Charlotte in charge of the garrison of 300 soldiers who were opposed by 3000 Roundheads led by the Parliamentarian, General Sir Thomas Fairfax. 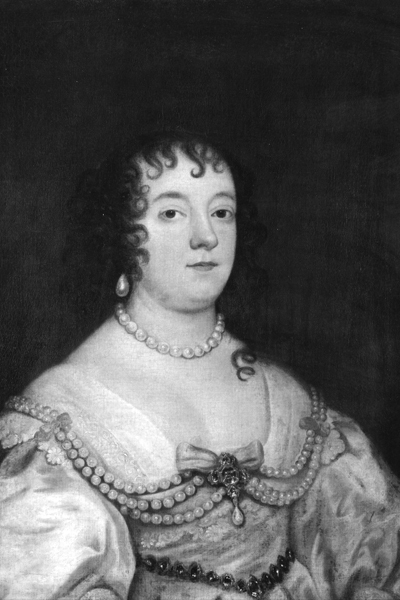 Despite several requests by the Parliamentarians to surrender, Charlotte refused. In July that year the siege was lifted, following the arrival of Prince Rupert of the Rhine with Royalist Cavalry. In 1645 Lathom House was laid to siege once more by the Parliamentarians. This time Lord and Lady Derby were in the Isle of Man holding the island for the King. 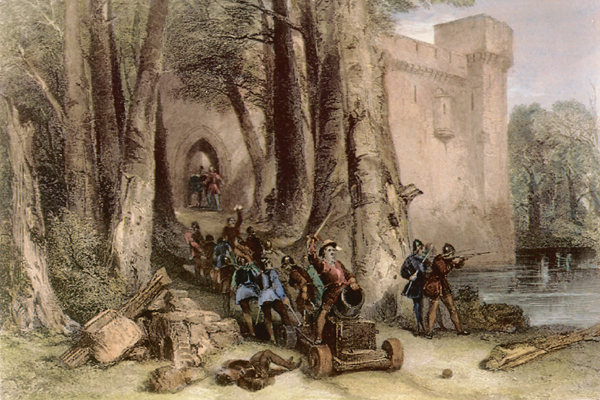 The siege came to an end in December that year when the Royalist garrison was forced to surrender. The house was then ransacked by the Parliamentarians and razed to the ground.